There’s nothing like a good baecation to celebrate a relationship milestone. 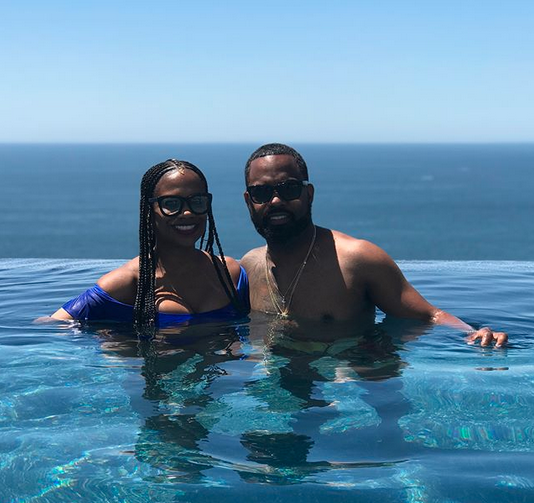 Which is exactly what Real Housewives Of Atlanta star Kandi Burruss and her husband, producer Todd Tucker, like to do on their wedding anniversary. On Wednesday, the couple celebrated four years of marital bliss and kicked things off in paradise. Day 1 of our anniversary vacay & it’s starting off right! @todd167 #MrandMrsTucker #4YearsStrong ❤️❤️❤️❤️ Thank you @notjustagetaway for helping us plan our trip! Burruss and Tucker tied the knot on April 4th, 2014 in a lavish ceremony at Le Fais Do-Do in Atlanta, GA. Their wedding aired on Bravo in a five-part spin off reality series shortly after. Their blended family includes, their son together, Ace Wells Tucker, 2, Burruss’ daughter, Riley, 16, and Tucker’s teen daughter, Kaela Tucker. Let’s here it for the family that vacations together!